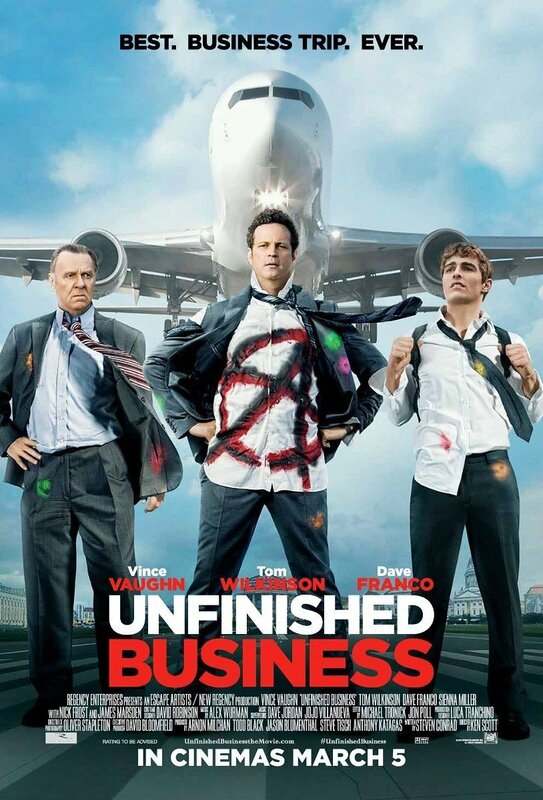 Movie – The best way to describe Unfinished Business is as a raunchy comedy with family life lessons. Vaughn is a businessman that has just quit his job and ventured out to start his own business to rival his old company. The only way to do that is by landing a big client and beating out his former company. Throughout the adventure he is joined by the fresh out of water Mike Pancake (Dave Franco) and an old school businessman Timothy McWinters (Tom Wilkinson). Both characters, along with other well-known actors (mainly Nick Frost), lend some laughs and make the movie enjoyable. There is family drama back at home Vaughn is dealing with in his character’s way, which gives the movie that family life lesson feel. This is intermixed with some over the top raunchy comedic scenes not suitable for all ages. I feel I was taken in two very different directions. On the one hand I found the raunchiness funny. Franco and Wilkinson characters were well played and made the movie funny. But then the family drama put the lead character into perspective and displays him as a family man trying to provide for his family by any means needed. This movie is not for everyone. Fans of Vaughn from Swingers and Made will not enjoy this. However someone looking for those “guy humor” laughs mixed with a warm your heart feeling may want to see this. 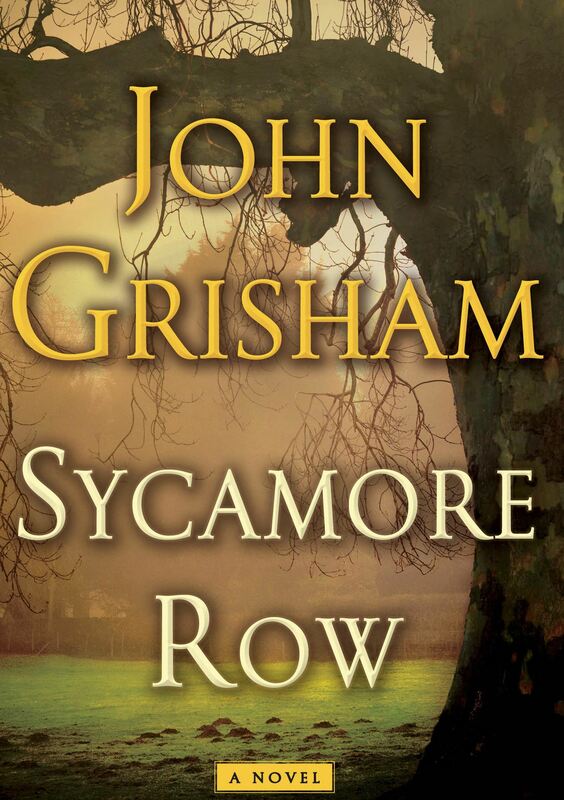 Book – It’s been a while since I’ve picked up a John Grisham novel and I’m very glad that I read the legal thriller Sycamore Row. Attorney Jake Brigance from A Time to Kill resurfaces to protect the interests of his client multi-millionaire Seth Hubbard who is battling terminal cancer. Seth has handwritten a new will rescinding the one he had previously drawn up at another law firm. The following day he hangs himself from a tree. The new will cuts out his children, grandchildren, and ex-wives and leaves the bulk of his fortune to his African-American housekeeper Lettie. This is Ford County Mississippi, where racial tensions still run high as Jake battles the Hubbard family and an army of lawyers disputing the validity of the new will bestowing an excess of $20 million. Was Seth unduly influenced by Lettie, were his medications and pain clouding his judgement? This is a mystery that tries to get solved in this fast paced, suspenseful legal procedural. Well written with great character development, this book is a must read! 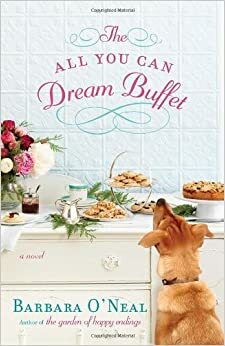 Book – The All You Can Dream Buffet by Barbara O’Neal is a warm and cozy book that proves it is never too late for a do-over. Complete with actual recipes throughout the story, this novel is a great feel-good read. Lavender Brown is a popular food blogger and the dedicated owner of the serene Lavender Honey Farms. She has dedicated everything she has to her life’s work, and she’s proud of all she’s accomplished. At the same time, Lavender knows she isn’t getting any younger, and she’s concerned that her business will fall into the profit driven hands of her relatives. Lavender decides to invite her three close food blogger friends to the farm, in hopes that one of them will be a perfect match. Ginny has been made famous by her scrumptious recipes and photos as a food blogger. But her success has turned everyone in town against her, especially her husband. Stuck in a place with no friends and an unfulfilling marriage, Ginny sets off on a whirlwind adventure with endless hope and possibilities. Ruby is struggling to come to turns with a miserable break-up with her ex-boyfriend. Pregnant with his child, Ruby prays that this trip to Lavenders farm will be her saving grace. Val has recently lost her husband and two daughters to a tragic accident. She is struggling to hold on to her remaining daughter, and hopes that Lavender’s paradise can help bring them back together. A cute story, stock full of friendship, drama, romance, and a hint of spice. 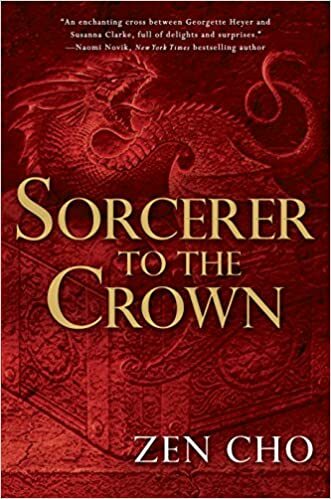 Book – Zacharias Wythe, Sorcerer Royal, is having a rough time of it. England’s magicians are torn by internal strife at the same time the country is demanding their assistance in the war against Napoleon, and Zacharias’s own reform ideas are being shoved to the side. And the rumors surrounding his own ascension to the post after his mentor’s death are stirring. As the first African Sorcerer Royal, Zacharias is none too popular among England’s magical elite. Meanwhile, Prunella Gentleman, the mixed-race orphaned daughter of a mysterious wandering magician who has been raised by the mistress of a School for Magical Ladies, is growing frustrated with her lot. Ladies, after all, are not supposed to be magical, and those who are unfortunate enough to suffer the affliction have to be carefully trained to avoid using it at any cost. Prunella, on the other hand, is sure she could do something great with her life, if only she were given the chance. The collision of these two – Zacharias who desperately wants to keep the peace, and Prunella who is determined to fend for herself no matter what society thinks – provides the largest part of the enjoyment of Cho’s first novel. Despite the cover, this is a Regency fantasy of the best kind, featuring dignified English magicians, grasping English politicians, and, uniquely, powerful and fascinating main characters from the underside of the empire. Fans of Susannah Clarke’s Jonathan Strange and Mr. Norrell and Mary Robinette Kowall’s Glamourist Histories should love this. Book – Lots of people have this idea that science and faith are inherently opposed, but the authors of this book – both astronomers with the Vatican Observatory, one a Jesuit priest and the other a Jesuit brother – are good evidence that doesn’t have to be the case. In six casual, chatty chapters, they discuss everything from the beginning of the universe to the end of it; the nature of Pluto, the Star of Bethlehem, and Galileo’s persecution; and, yes, if they (or rather, if Father Paul) would baptize an extraterrestrial. The authors are Jesuits, so this is definitely a Catholic perspective on both the universe and on the Bible, but I think it’s illuminating for anyone. They argue that both of those vast and profound entities require you to choose how you’re going to go about understanding them, and that if you choose wrong, you’re just going to be more confused than you started – and they offer examples both from the history of science and from the history of theology. My favorite chapter, though, was the chapter on Pluto. It turns out that both authors were part of the process of re-defining the elements of our solar system that removed Pluto from the list of planets, and they explain the complicated tangle of human categories, actual celestial bodies, and plain old human emotion that made that process so difficult and controversial. Book – Why is there something so irresistible about a really skillful crime? Maybe we should be rooting against the antiheroes of Ocean’s Eleven, The Italian Job, or Catch Me If You Can, but if you love any of those films, or if you’ve ever found yourself binge-watching episodes of Leverage on a Friday night, I bet you don’t spend those viewing hours riveted by the tenacious law enforcement officials on our criminals’ tails (sorry, Tom Hanks). If you find any of the above titles as fascinating as I do, no matter the moral failings of their protagonists, your next read should be The Man in the Rockefeller Suit–which is every but as thrilling but with the added bonus, incredibly, of being true. Christian Karl Gerhartsreiter was an ordinary young man from a small town in Germany, but his ambitions were exponentially bigger than that. He came to America as a student, ingratiated himself among the rich and powerful, and changed his identity several times before settling on the ultimate last name: Rockefeller. Under the new persona of Clark Rockefeller, he lied and schemed his way into a marriage with an ambitious businesswoman, memberships in elite clubs and an art forgery con, among other things, living the high life and then some. It took over thirty years and the kidnapping of his own daughter before his secrets finally caught up with him (including a murder case which remains tantalizingly unresolved). In short, The Man in the Rockefeller Suit is a fast-paced and exhilarating example of truth-is-stranger-than-fiction that will appeal even to the non-fiction skeptic. The audiobook is also excellent. Book –What happens when we die? Does Heaven await us in the afterlife, or perhaps the fiery pits of Hell? Maybe, our souls merely evaporate into the air, leaving no trace of our existence. Shall we meet the pearly gates or travel the River Styx? 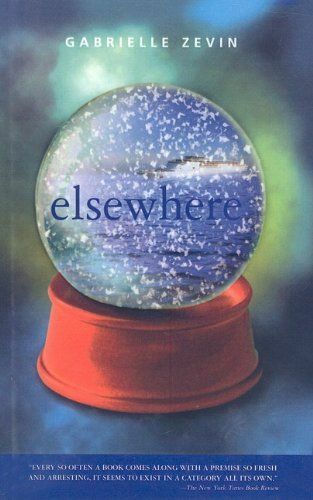 Gabrielle Zevin explores this age-old question of what happens after life in her novel, Elsewhere. Imagine that you wake up in a strange bed, aboard a ship you’ve never seen before, embarking on a journey to a place you’ve never heard of, called Elsewhere. Fifteen year old Liz thinks she’s having a bad dream, until it finally hits her; she’s dead. I adored this book as a teen, and still consider it one of my favorites today. The world of Elsewhere seemed like a fantasy to me, a quite intriguing hypothesis of what lies in store for us in death. A morbidly light read, with a fun cast of characters and a charming story. 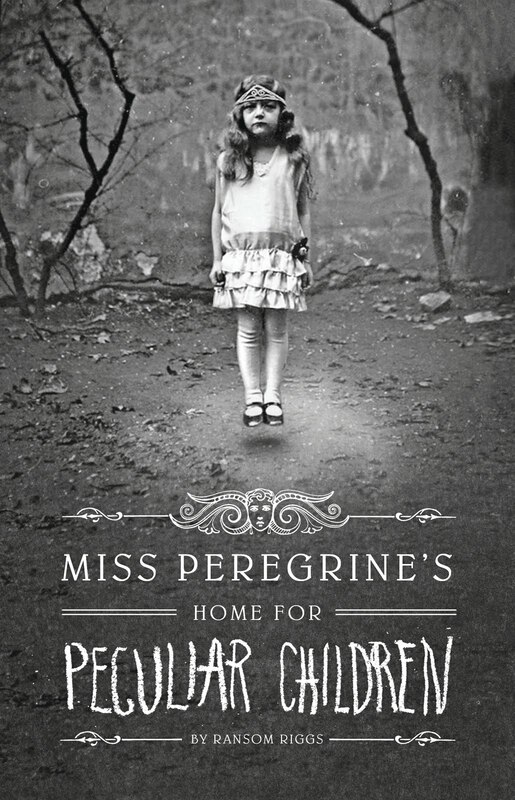 Book – Miss Peregrines Home for Peculiar Children is a lively and imaginative tale that follows a young lad named Jacob. Jacob has grown up hearing the most fantastical stories of children with magical capabilities from his grandfather. An Invisible boy. A girl who holds fire in her hands. Children who, Jacob thinks, couldn’t possibly have existed. After the sudden passing of his beloved grandfather, Jacob becomes obsessed with the photos and stories they shared. The tragedy sends Jacob and his father far away to escape their grief. And that…is where the adventure really begins. While exploring the island, Jacob discovers the old ruins of an orphanage, Miss Peregrine’s Home for Peculiar Children. Jacob soon discovers that all the stories his grandfather told him might actually be true, as the children of Miss Peregrine’s Home come to life. Yet there are still questions left unanswered. For anyone who has ever been awed by circus performers, amazed by people who can do unbelievable feats, pick up this book and take a gander. The story itself is charming, but it is the unique photographs sprinkled throughout the pages that really breathe life into the novel. It’s almost enough to make you believe that the characters are real people, each with their own history. Ransom takes these images from his extensive collection of vintage photographs to illustrate the novel; what a brilliant idea! If you find yourself nearing the end of Miss Peregrine’s Home for Peculiar Children, fear not, for the trilogy continues with Hollow City, and the newest installment, Library of Souls. Also in the works to become a motion picture, don’t miss the premiere of Miss Peregrine’s Home for Peculiar Children in March of 2016. And for another visual adaption of the book, be sure to check out the graphic novel adaptation. Movie – Heavy in physics, theoretical and practical, Interstellar is slow moving, with lulls that may drive some viewers away. It is just shy of three hours making some of the scenes long and hard to bear. Interstellar, however, does a good job at keeping viewers interested through an absorbing story, enveloping screen shots, wonderfully original score, and of course, sarcastic robots. The story is one of plight and extinction. If Coop (McConaughey), cannot find an alternate planet for the remaining population of Earth everything will end. Food is scare and crops consist of corn, nothing else. I don’t think I could eat only corn for the rest of my life. Even then, the corn will soon die out too. The only way to survive is to travel through a wormhole to find an alternate earth-like planet. A little wonky on what happens when you enter a black hole; die hard physicists may not like this part. But since no one has ever been inside a black hole, I feel Nolan can do as he likes. I enjoyed McConaughey, as well as the small part Matt Damon had, and loved the robots. This one is for fans of slow moving engrossing storylines, deep space travel, and unbreakable bounds. Those who are looking for alien life and futuristic worlds will have to look elsewhere. Book – As the weather turns colder (at last! ), my fingers itch to be knitting again. When planning new projects, I always take a look at this book first. Parkes knows her stuff. 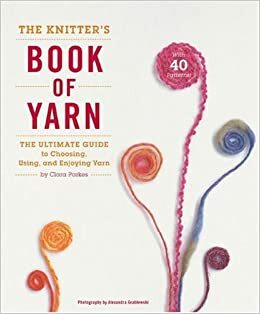 The book goes into detail on everything from the microscopic structure of different fibers to the confusing technical terminology of how yarn is spun to help you pick out the perfect material for your project. (Something I learned the hard way before reading this book: cotton just is not good for socks.) Best of all, there’s a nice array of patterns in the latter part of the book, designed specifically to show off the best qualities of the yarn used. If you’ve ever been intimidated by the selection in a knitting boutique, or if you’re reluctant to branch out from acrylics and superwash wool because you’re concerned about delicate care requirements, this is the perfect book for you. But even if you’re an expert knitter, or you know you don’t have the budget for angora or mohair or buffalo wool, The Knitter’s Book of Yarn is an interesting and informative way to spend an afternoon. Unless, of course, you could be knitting.